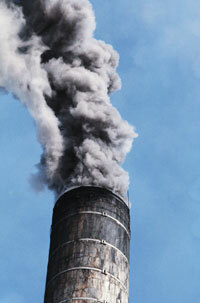 Washington is taking steps to eliminate coal-fired energy in the state. Washington is taking steps to eliminate coal-fired energy in the state. On April 29, Gov. Chris Gregoire signed legislation to shut down the coal boilers at one of the state’s largest power plants in an effort to meet new greenhouse gas emissions goals. In 2009, Gregoire signed an executive order directing the state’s Department of Ecology to work with TransAlta on an agreement that would apply the state’s new greenhouse gas emissions performance standards, which require the Centralia coal-boilers to shut down, by no later than Dec. 31, 2025. The new law culminates two years of negotiations that produced an agreement between the company, the environmental community and the state. Also under the new law, TransAlta will install additional air pollution control technology to further reduce emissions of nitrogen oxides at the plant by 2013; the company will contribute $30 million to a community investment fund to help with economic development and energy efficiency projects, as well as $25 million to an energy technology transition fund to be spent on supporting innovative energy technologies and companies in Washington state; and the company will be allowed to sell coal power under long-term contracts within Washington during the transition period, which will give the company the financial stability needed to move to a cleaner source of energy. Read Gregoire’s entire press release about the new law. Can you afford green power?